Can the company you trust to protect your money also protect your other valuables? Definitely. Introducing BankGuam Insurance Underwriters Ltd. (BGI), a subsidiary of Bank of Guam®, the company thousands of people have trusted to keep their money secure and growing for almost three decades. BGI offers home, auto, and commercial insurance to fit your budget. Now you can get financing and coverage in one place at the same time. 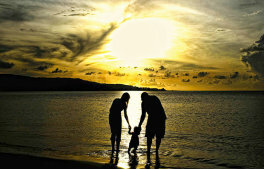 Plus BGI also offers life policies, to protect those things that are priceless. Please call our agents at (671) 479-2265 for more information.